Natasha Miller and her husband Ryan have been a part of Heritage since 2013. They have three children- Aubrey is in 8th grade, Cameron is in 7th and Lauren is in 4th. Natasha works part time as the Elementary Coordinator at Grace Community Church where the Millers have attended since 2002. She is also involved with Heritage H.A.N.D.S. and loves to volunteer in her children’s classrooms. 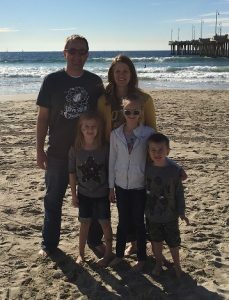 Natasha and Ryan are passionate about Heritage and the way it partners with them in teaching their children to view the world from a Biblical worldview perspective. Unyime and and his wife, Titilayo, have been part of Heritage Christian School since 2015. 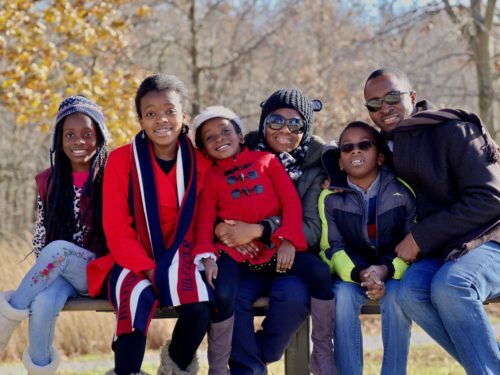 They currently have 3 children at Heritage- Idara & Eno in 7th grade and Udeme in 2nd grade. Their eldest Kufre, now a freshman in high school, graduated from Heritage in 2018. 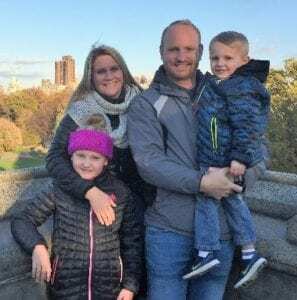 They have also been a part of the Grace Community Church family since 2011 when they moved to the Iowa City area from North Carolina and they serve in the children’s ministry there. Unyime is a faculty physician at the UIHC anesthesia department. Heritage has been a blessing to their family because it partners with them in helping their children see the world from a biblical perspective. The Norpel family have been a part of Heritage since Sarah taught at Heritage from 2001-2006. They have two children at Heritage, Aurora in eighth grade and Jayce in fifth grade. Sarah works as a medical transcriptionist from their home in Coralville. Troy and Sarah are also the owners of Kingdom Graphics in West Branch. The Norpel family attend Parkview Church where Sarah has served as a deaconess and Troy, Sarah and Aurora serve in the nursery. Troy and Sarah believe strongly in Christian education as a foundation for teaching children a Biblical world view. 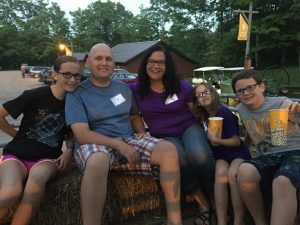 Kari and her husband, Brian, moved to Iowa City from Virginia in 2008 and began attending Grace Community Church where they learned about Heritage Christian School. In 2013 they began at Heritage and now have their 3 children enrolled. Nora is in 7th grade, Molly is in 4th grade, and Sean is in 1st grade. Kari works part time at Grant Wood AEA as a Special Ed Literacy Consultant. She has also spent time teaching at the pre-school and elementary level in Virginia. Kari enjoys spending time in the schools and helping teachers. Their family enjoys cheering on the Hawkeyes together. Gale and her husband Steven have been a part of Heritage Christian School for 10 years. They have two children Alec and Abigale. Alec graduated from Heritage in 2016 and attends Liberty High School. Abigale is in 3rd grade at Heritage. Steven and Gale have lived in the Coralville/North Liberty area for the past 12 years. Gale works as a vaccines specialty care representative and has worked with the company for the last 18 years. Steven and Gale are members of Grace Community Church in North Liberty. Gale is passionate about the education and partnership Heritage offers in raising children to love and serve Christ. Josh is married to his high school sweetheart, Jenny, and they have been a part of Heritage since 2014. They are originally from Portland, OR and have enjoyed the opportunity to come to Iowa and become a part of the local Hawkeye culture. Josh and Jenny have a daughter in 3rd grade and a son in kindergarten attending Heritage. The Nimmos are members of Veritas Church and serve on the worship team and in the children’s ministry. Josh and Jenny are grateful for the firm foundation and extended family that they have found at Heritage as a family. Rich and his wife Becky have been a part of Heritage since 2015. They are a blended family with Rich’s daughters Brittany (27) and Brooke (25) both residing in southeast Iowa. Their son John is enrolled at Heritage in first grade and daughter Maggie is almost 2. 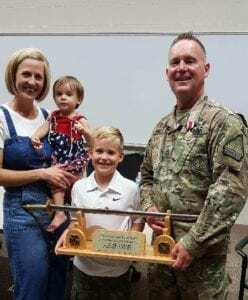 Rich has recently retired from the military after 32 years and is now employed at Rockwell Collins. The Barclifts attend Grace Community Church where Rich serves on the Safety and Security staff and Becky volunteers in the nursery. 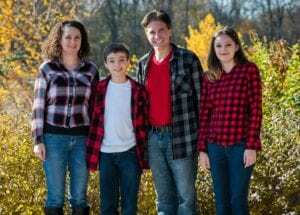 Rich and Becky are passionate about the role of Christian education providing a strong foundation and partnering with Heritage to raise their children up with a biblical worldview.